One of the free training courses we are running this year focuses on business efficiency and, in particular, shopper throughput efficiency at the sales counter. Fast, accurate and personal sales processing at the counter is critical in any retail business. In small / indie businesses the challenge is complex in that these businesses are often not backed by corporate head offices where processes are studied and refined, and systemised. Thanks to smart POS software, Tower systems makes it easy for small business retailers to improve efficiency without harming the shopper experience. The free training courses we are offering cover this, in detail, and min a way that any retail business can leverage for theirs own experience. Our training covers managing the counter, streamlining the sales process and leveraging terrific tools in our POS software that benefit shoppers, retail employees and the overall business itself. We do it well, in a structured way and in a way that resonates with a host of niche retail businesses in the various retail channels in which we specialise. The training is live, personal and interactive, enabling retailers to speak to their situation and for our experts to offer help that is tailored to their needs. This training is part of our free weekly live training program for retail businesses using our POS software. 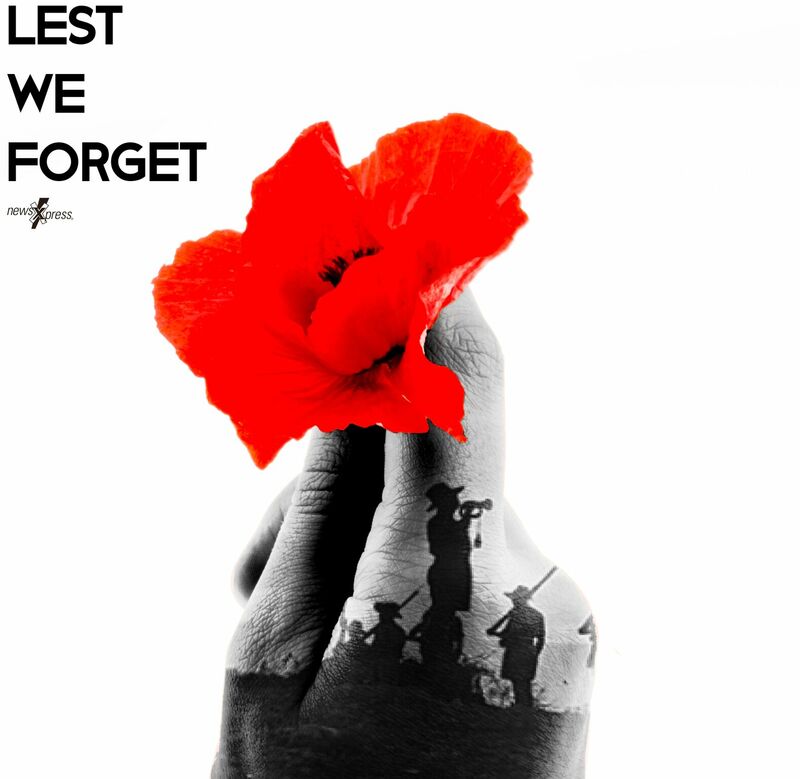 Our offices are closed today for the Australia Day holiday. Our online services and our after hours help desk services are operating as normal. Small business retailers using our POS software have a structured process working for them, serving them, to deliver access to customer service quickly, efficiently and with certainty. We have a documented escalation process to serve 0ur customers. Were do this with pride and clear focus as we know that good customer service on the POS software help desk is appreciated. Calling our help desk – we have contact numbers in each state and NZ. Accessibility matters to small business retailers. We understand that and ensure we are resourced for it. We back easy access with terrific service and an escalation process on which our customers can rely. We’re human and mistakes can be made. This is why we have a transparent, structured and useful escalation process for our POS software customers. Email support@towersystems.com.au with a subject of: Escalation. Please provide as complete a description of the issues as possible. If you have multiple points, please number each. If your concern relates to a specific employee, please include their name. We handle escalations in a structured way. On receiving an e mail it goes to point 1. If you are unhappy with that, please escalate to the next point in line. CHIEF OPERATING OFFICER: Gavin Williams. 03 9524 8000. Email gavinw@towersystems.com.au. MANAGING DIRECTOR: Mark Fletcher. 0418 321 338. Email: mark@towersystems.com.au. We have had this process in please for years. Feedback from o7ur customers is they love it’ll even though escalation is rarely called upon. Having the service there is a demonstration of good faith. It reflects the professional approach we provide. That our leadership team is easily contactable shows that we back ourselves with our POS software customers. When it comes to POS software help desk access, accessibility matters. Knowing you can reach beyond the help desk matters and small business retailers understand this. It demonstrates our commitment to customer service for those we serve in this business. May 2019 be bright and prosperous, fulfilling and wonderful, healthy and relaxing … for all of our customers and those who rely on their businesses for income and more. We appreciate your support through 2018 and recommitment to be here for you in 2019. Together, we can make 2019 a wonderful year! These days between Christmas and New Year are terrific on the POS software help desk in that call traffic is not high and some customers take the opportunity to learn more about their software, to improve their businesses. Our free training offer for all of our customers is loved and appreciated and this is the time of the year people can find time for learning more about the technology they have in their shops. Our customers can book in for their free training by calling us or emailing bookings@towersystems.com.au. One of our POS software experts will provide one on one training tuned to the specific business, using data from that business. This makes the training more useful and beneficial. While the free train ing offer is all year, this time of the year it is leverages more and we like that. As noted, after hours numbers will be live throughout, for urgent situations, along with our escalation process. We have all hands on deck today to help ensure we provide the service our customers need to deal with any Christmas eve challenges. We will close early, as has been tradition here for decades, once all calls are done and the phone has stopped. After this, our after-hours network will be available for urgent calls. We are often asked for help when it is too late. In this article, we outline steps any retailer can contemplate from them moment they realise their business is in trouble, from the first thought that closing may be the only option. Tower Systems is more than a POS software company. We are retailers too. We cherish the relationships with our retail business customers. We will help whenever and wherever we can to help small and independent retail businesses survive challenges and grow. If your retail business is in tough times and facing imminent closure, you may be able to save it if you act quickly and ruthlessly. Based on years of working with many different retailers, I have found that some basic steps can successfully turnaround a business in trouble. But you need to be ruthless. The following tips are designed for businesses with a little (but not too much) time available to fix things. While they are not appropriate to every business, the ideas can lead to others that may be appropriate. This advice is also appropriate or businesses not facing imminent closure but certainly facing tough times. Crucial to saving a business from closure is to understand why it is in this situation. You have to be honest with yourself about this. How did it get to this? Did you not make changes to your business when you should have? Has something local and unexpected impacted your business? Have you been a bad retailer, allowing the business to fade away? Do not be afraid or ignorant in confronting these questions. Make an honest appraisal of the state of the business as the truth can inform what you do next. You have to own your situation. This means being realistic about what you face and what got you there. This is important as it opens you to what you need to do to resolve the situation, to rehabilitate your business. Know your truth. If you run a computer system, analyse the data it collects. If you don’t know how to do this, find out. Look for surprise information in your data, things you did not know about your business. For example, look at the top selling items. If there are surprises there they could inform other decisions you make to urgently address your situation. Talk to your computer software company, ask for their assessment. Knowing your truth is key to owning your situation. Quit dead stock. If you have stock on the shop floor which is old – ‘old’ can vary between product categories – and for which you have already paid, quit it. However, stock that is greater than six months old is a reasonable guide – then take action to sell this at a substantial discount. Move the stock off display units. Line it up to look like clearance stock – stacked up on tables. Setup plain and simple signs indicating the discount prices. Create signage to show it as clearance stock. If you have enough clearance stock in your business, consider signs across your front windows. Give your sale a name that is unrelated to your situation. Here are some suggestions: MEGA SALE, FIRST EVER MARCH SALE, AUTUMN SALE, SMALL BUSINESS MIGHTY BIG SALE. Give it a name you can theme around. Run a loyalty offer. Immediately setup and run a loyalty program rewarding shoppers with dollars off their next purchase. The most successful loyalty offer in recent times is discount vouchers whereby vouchers are included on receipts offering an amount which is cleverly calculated by your software based on the items in the purchase. The goal has to be encouraging shoppers to purchase again soon based on the offer on the receipt for items they just purchased. Move things around. If your business is in trouble it is likely that it has not changed much in recent years. Change it. Move departments around, shake things up so your customers trip over things they did not think you sold. Review prices. Look at the common items you sell, consider a small increase in your prices. It could be a small increase will not hurt sales volume yet will add profit to your bottom line. Upsell well. At the counter, work to extend the basket for every sale possible. Do this with clever counter product placement and witty and engaging banter with customers offering upsell products. You goal has to be to make more from each customer. Stand for something. What is different about your business? What is special about it? What makes people want to come back? If you don’t know the answer to these questions you’re in trouble. If your answer is we’re the only shop of your type nearby you’re in trouble. If the answer is people have always shopped here you’re in trouble. You need to have a difference that people want and will talk about to others. It could be a product or a service. However, it cannot be a product line that is traditional to your type of business as that will not add value to your shingle in the way you want or need. What do you stand for? This is a tiny snippet of advice we provide in this area, advice we share with our customers as a service beyond the POS software itself. Our advice has been developed over years of serving many different types of retail businesses. It is advice we have seen appreciated by many types of shops. Never give up. Fight hard and fight smart to turn your business around. Facing tough circumstances in retail can be like the deer in the middle of the road at night facing the headlights of an oncoming vehicle. Don’t freeze. Take action to mitigate your situation. A series of small steps could be the difference between closure and trading out of the problem. I have prepared this in response to a comment from a retail colleague who asked for advice on how to deal with a business facing closure. If your business data there are bound to be opportunities and insights around which growth can be achieved. If you are not sure where to look or what they could mean, ask us. We will help. How protected is your retail business in the event of disaster? Since we are a software company, our interest is more to do with data and technology. Are you as protected as you can be? This is an easy topic to ignore and most small business retailers do. Those most likely to plan for a disaster are those who have gone through it. Once bitten, twice shyas they say. ‪Business interruption. The amount should equal your anticipated gross profit for whatever period you choose to be covered. Data recovery. Including the hiring of experts to recover data from backup sources or the manual entry of data that cannot be automatically recovered. Ensure you are covered to the point of recovered data being useable. Lost stock. This is stock stolen, lost from the business. Damaged and unsaleable stock. This is stock which is water damaged, scuffed or dented and which will not attract full price. Dated stock. This is stock that you cannot sell by the due date. Many policies require explicit statement of glass coverage. Temporary trading premises. Business interruption may cover this. Key person injury and/or death.This will usually be a separate policy. Depending on the disaster, coverage may also be available through the overall business policy. Ensure that the value of stock, fixtures and fittings covered by your policy is an accurate reflection of the real value of these items. Use your POS system to track all stock movements in and out. The stock on hand in your software should be your coverage. ‪Backup your business data every day, at the end of the day, without fail. Better still: use a cloud based backup service that undertakes the backup as the day unfolds without you having to every do anything to backup. Maintain a separate backup for each day of the week. Remove the backup from the business property. Store the backup in a safe, dry place. Check the usefulness of the backup by restoring and checking the data. Store original business software in a safe off-site location. Check the backup every three to six months – to make sure the backup is actually backing us current data and can be read. A backup you cannot read is a waste of time and money. Do not share passwords widely. Disaster Planning. Here are some general suggestions on planning for a disaster in your business property. Ensure your roof is secure and free of leak points. Do not place computers on the floor. Put them on a riser. Ensure all electrical wiring is to code. Keep off-site copies of: Business contracts and agreements; employee contact details, business account and other passwords, insurance details, recent photographs of fixtures, fittings and stock. For records you cannot easily copy or that may change as the trading day unfurls, consider having a go bag ready for you to grab if there is a risk to the premises such as a bushfire. Maintain a register of all employees in the business premises at any time. Prepare and place in a prominent place an evacuation plan. Maintain a professional grade OH&S compliant first aid kit.Have this checked regularly. Regularly maintain all fire extinguishers – check with your local fire brigade about this. Ensure that the business premises is safe and maintained to the local building codes and OH&S regulations. Have a trained first aid officer in staff. Your local St Johns or similar will be able to provide training. Tower Systems offers the thousands of retailers using its POS software access to free one-on-one training in the use of its POS software. Our customers can book and take as many of these POS software training sessions as they like. The training can be on any topic related to the software. We have a catalogue of topics available. We also welcome topic requests from customers, all of which we will deliver. The training is delivered by a training specialist with terrific retail experience. We are proud to offer this service and to deliver it with consistency to our customers, to help them get the most possible from the use of our POS software in their business. Booking the training is easy, hassle free. This is real, we do it every day – free training for small business retailers using our POS software. Yes, free. This is a Tower Systems advantage … and advantage for our retail business partners, those who use our POS software. We are grateful to the support of our small business retailer community that enables us to provide this service and to have been providing this service for years. The training itself is done over the phone, using a customer computer and their data, providing the customer the ability to learn by doing, to learn how and where they want to. We have found this works well in the small business environment. Our approach also makes it easy for multiple team members in a business to learn their part, the part of the software that relates to their role. We can some days do training for four or five people in a single business. We are truly grateful for this because we know that the better someone knows the software the more they will get from it and the more they will love it and we are keen for people to achieve a place of love with our software. Tower Systems is genuinely and acutely focussed on small business retailers in selected specialty marketplaces. We understand the importance of training and the value that can be derived from it for POS software customers. Shortly, we are hosting an open forum for retailers using our POS software where they get to meet and talk with our Software Development Manager. This meeting is another example of our commitment to an open and transparent relationship with our customers. A core part of the meeting will be a Q&A. This will provide our customers an opportunity to ask questions about their specific situation. Often times in such discussions people start by asking for a software change and soon discover that the software already offers what they are asking for. This session, our user meetings and our weekly online live training workshops combine to provide our customers with appreciated touch points between their businesses and ours. It its another reason for terrific customer retention tin rates for our business, for which we are most grateful. Every time we put ourselves in front of our customers we learn new things, things from which the future of our POS software benefits. We appreciate the engagement of our POS software customers and the help they provide through suggestions and other engagement. 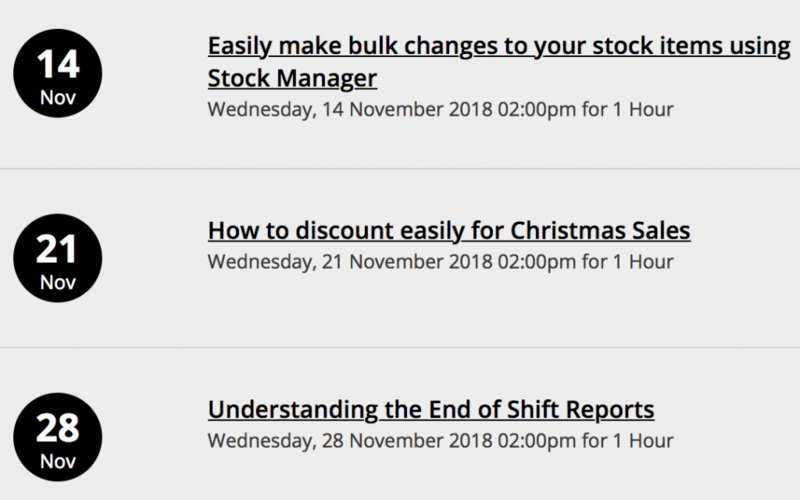 Even though it is N November and retail b businesses are getting busier for Christmas, we continue to offer free weekly online training workshops where our customers can learn and engage more deeply with our POS software. This free POS software training is accessible to all Tower customers, at no cost. We have recently added more value to POS software support coverage we provide to our customers, making being covered by support more valuable than ever. In this work we have added access to services and facilities for which there used to be a separate, user pays, charge. These charges have been eliminated. Many of our customers now have lower costs per year. This is good news. We are thrilled to have been able to deliver this for our customers, to offer them lower operating costs. Our support pricing process is transparent, all of our customers are treated equal. This is fair for them. It is the only way we do business. As part of the process of changes, we have stream limed customer access processes for add-on and now free benefits such as Xero, MYOB, Magento, Shopify and WooCommerce. This is self serve, easy and fast. It provides a better and more enjoyable customer service experience. In our own situation, in terms of data management here, what we do in this area is streamlined, fast and requires less data handling for our customers. So, in 2018, Tower Systems has increased the value of POS software support coverage, added more real value, eliminated some fees and increased touch point opportunities for small business retailer customers – helping to drive an even better return on investment for our customers. This is good news, news we are proud and grateful to be in a position to share here. We shared this news weeks ago with our customers. We think it is important to talk about this here as people get too hear it from us. This is always better than the spin you can get from a competitor who seeks to deflect by talking about us too much. We are committed to driving value from total cost of ownership, helping our customers to achieve more for a fair price, a price that is transparent and a price they can trust as applying to all. here at Tower Systems we proudly serve all customers as equals. QLD / NT: Justin Randall 0434 365 789 justin@towersystems.com.au. Our training is one-on-one, in your business. Our help desk support is personal, based out of Melbourne, and personal too – because we know personal service matters in small business retail. Our goal is to help you enjoy a more successful and valuable business. We’re here and ready to help … not that we will get many calls for the race really does stop the nation. The help and advice we provide to small business retailers often reaches beyond our POS software and into areas of small business management. We are grateful of opportunities to help small business retailers, to provide them with advice and assistance beyond what is usual for POS software companies. As retail business owners and operators ourselves with more than 20 years experience in that area, on top of our 38 years in POS software, we have experience and knowledge on which we can draw. In the interests of helping new retailers and retail shop mangers, here is a checklist of basic retail business advice, headlines mainly – not too much detail, just enough to remind you of key areas which need attention to build a stronger and more profitable retail business. This checklist has been developed over the years of us supporting plenty of start-up small business retailers. The list is based on things we often see them neglect or forget. Create an employee manual with all employee terms and conditions. Hire the best employees available. Train your employees well. Do this by working with them, taking them into your confidence about the business, what it stands for and what you expect of them. Pay employees in a way which respects your faith in them. Share the rewards you make from the business. Remember, you are more responsible for employee performance than anyone since it is usually you who hire, train, manage and fire them. Cash is king in retail. An unprofitable business with a good cash flow can weather a storm. A profitable business with poor cash flow can fail. Have a strong cash management policy. Keep little cash on the premises. Never let one single employee control the cash. Have checks and balances. Keep expenses to an absolute minimum. Watch your product margins, make the most from each product you sell that you can without hurting sales. Use your software to determine replenishment stock. Never sell anything without tracking it. Use all the free touchpoints: receipts, customer display and more in your software. Know dead stock as this is too often a big overhead. Know how to get data to guide decisions. Too often new retailers and retail store managers look for advice to react to situations. Consider the headline advice in this article early on and revisit it regularly to ensure that you have a strong and healthy business. It has been another business day at the office today, Saturday, helping customers with queries. Like the majority of our help desk calls, today was about providing training on how to, helping with net connection issues and troubleshooting hardware. Being here, being accessible, is a real assist for our customers and that is our goal, to deliver comfort and support. While we have our after hours mobile phone based help desk service, it is the office based service on Saturdays that people love because of the tools available to that team for helping our customers. Personal and engaged human based support based out of our own offices in Australia is critical for the businesses we serve. We are grateful to our customers for their support. Why personal service matters to small business retailer POS software users. Personal service is a key differentiator in local small business retail. With most products being available in big and small business, in-store and online, personal service, local knowledge added local value really matter as a differentiator. The same is true with POS software. We see too many POS software companies that hide behind anonymity on their help desk, admin, sales and other customer facing roles. Here at tower Systems we believe in personal service, we trust it and respect it as a small business owner need and desire. Th8is is why when you hear from us you hear from a person, with a name. Our contact is real and authentic. You can be sure that the name is real and that you can ask for them again, to continue the relationship. We think this approach sits at the hearty of the relationship we have with our customers and foster with our sales products. By operating this way, this personal way, we show our customers that we treat them as they want to treat their customers, with differentiating good and personal customer service, which adds value they can appreciate. Whether it is a support call to the help desk, advice on tracking an employee theft situation, help to understand the financial performance of the business or a general business strategy discussion, here at Tower Systems we provide personal service where you can speak with the person providing the service. We know of companies where staff use fake names. For ex ample, in one company, help desk people were told to use the name David so that customer contact felt consistent. None of the employees providing service actually had the name David. People soon see thr9ygh games like this. It is nuts in our view. That is why we are a8thentic, personal and real … trust starts with this honesty. Next time you are providing a service in your business by phone, email or in person, see to do it in an authentic personal way as customers are more likely to remember your personal approach than if it is general, vague and without any personal context. Crypto locker attacks, malware attacks, cyber attacks, call them what you want, they are hurting small business retailers. Their impact is serious, expensive and stressful. They are becoming more sophisticated and this increases the harm to small business retailers. Tower Systems offers its POS software a safe, secure and proven cloud backup service for its small business customers. It offers through this multiple layers of protection, making recovery easier and faster than is often the case with a single layer approach to data backup. The best way to any business, especially any small business, to be prepared for an attack, beyond firewall and other force-field protection is to have easy and fast access to up to date backup data, of whole of systems backup data. The Tower Systems cloud backup service is safe, secure, offsite and on site and updated regularly as each day transacts. Were developed the service in response to the call from ur small business retailer customers who were keen for protection beyond the old approach to backups. They wanted something that was seamless, fast and always on. This is where our service and our installation and monitoring support ensure that the appropriate coverage is in place, protecting small business retailers. Our cloud backup service for small business retailers has professional redundancy built in. We will not provide details here as to do so could compromise the security. There have been instances recently where after a crypto lock attack on a client we have had them up and running, fully restored, within the hour. This is what professional backup looks like. It is insurance for getting over the attack quickly and professionally. Without a hefty price tag. The Safe Backup service is a cloud-based incremental backup service to help you store your valuable data more efficiently and with greater security. Using the specialist backup software created by Storagecraft, our service allows you to perform live backups of your entire MAIN computer to your in-store NAS. These backups are then uploaded to the internet so you have a second copy stored securely in the cloud for hassle-free, total backup security with no further need for USB sticks. We monitor the backups. This is bonus coverage beyond the notifications on your local computer about backup status. The peace of mind is valuable and appreciated by small business retailers. It frees them to focus on other requirements, other parts of their business. Cloud back is, in our view, the only safe backup for small business retailers. It is what we recommend. It is what we use ourselves in our own retail businesses.